A lovely 4 drawer chest in the ever popular French 'Sleigh' style. 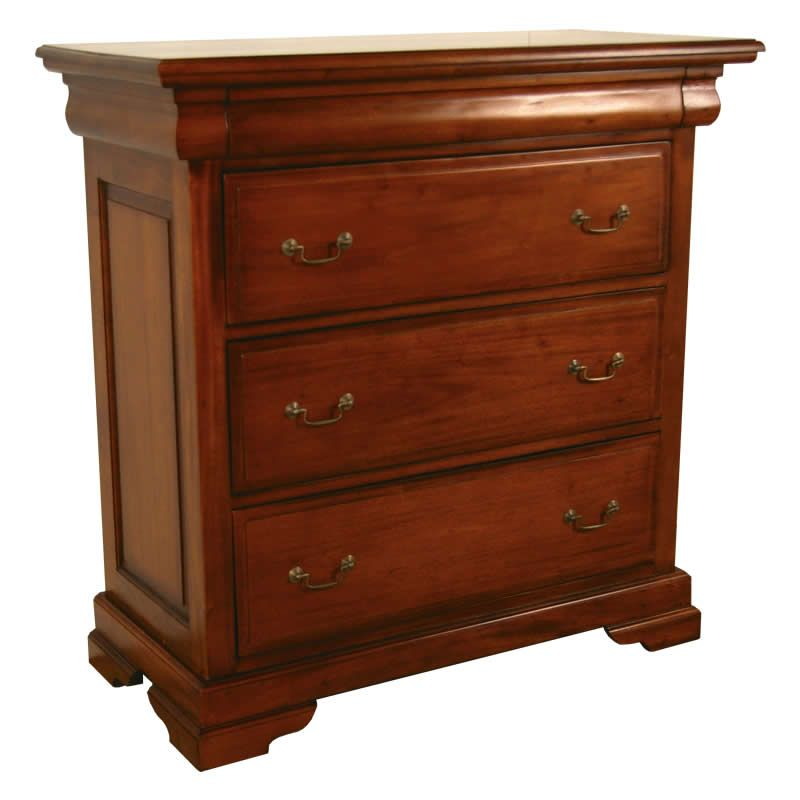 3 drawers have antique brass finish swan neck handles whilst the 4th is a semi concealed drawer. Finished in polished mahogany this piece is part of our Sleigh furniture collection. Also available in chests of different sizes.